Style and trend will be at the peak of your beauty when you attire this deep pink colored anarkali suit. 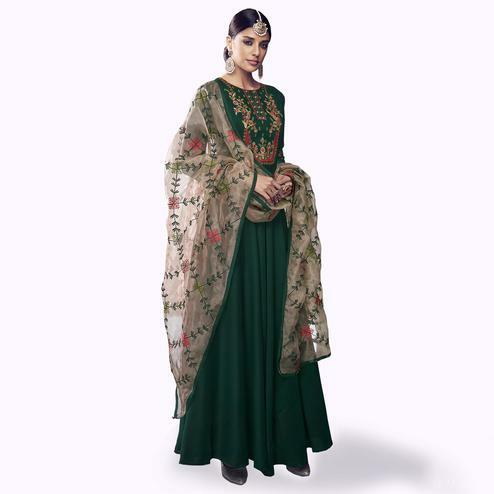 This stitched anarkali suit is made of heavy pure muslin cotton fabric which has been adorned with elegant embroidered work and amazing flare which makes this outfit perfect for any occasion. The floor length makes the overall look more outstanding. 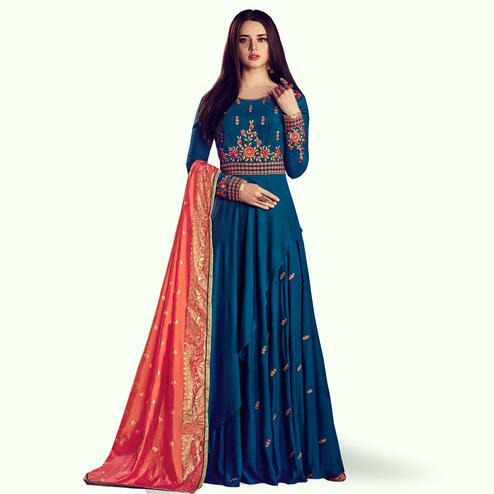 Accompanied with dull santoon bottom and organza dupatta. Best suited for wedding functions, receptions and special occasions, where you want to be center of attraction. 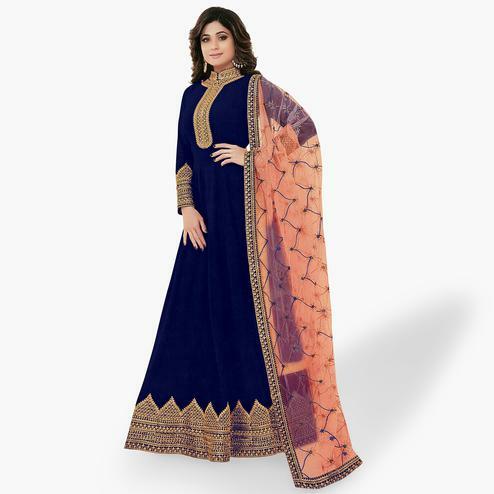 Team it with ethnic accessories and heels to make your looks more beautiful. 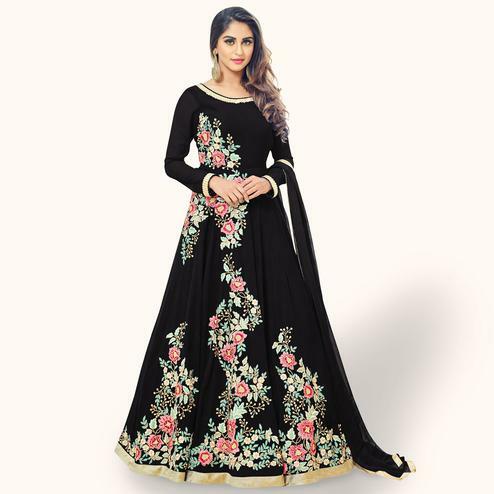 Buy this anarkali suit and earn lots of compliments from onlookers.